The University of Louisiana at Lafayette has scheduled an initial public meeting on its hazard mitigation plan as part of the Disaster Resistant University (DRU) grant program administered by the Federal Emergency Management Agency (FEMA). 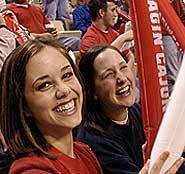 The gathering will be at 2 p.m. Thursday, April 23, at UL Lafayette’s Abdalla Hall, 635 Cajundome Blvd., in the auditorium. This meeting will give the public a chance to learn more about the DRU program and to see initial plan documents. Under the leadership of the university’s National Incident Management Systems and Advanced Technologies (NIMSAT) Institute, UL Lafayette officials have been working to develop a comprehensive hazard mitigation plan that will include a risk assessment and a hazard mitigation strategy to identify projects that will reduce the risk of loss of life, injury and property damage from future natural and man-made disasters. This process includes input from an Advisory Committee made up of university and non-university stakeholders alike. Each year, millions of FEMA grant dollars are made available to eligible applicants via programs such as DRU and other hazard mitigation programs. With an approved hazard mitigation plan, UL Lafayette will be eligible for these competitive grant funds. FEMA awarded UL Lafayette a $157,500 grant to create the hazard mitigation plan. DRU emphasizes the economic impact and interdependence of universities with surrounding communities and remains the model for hazard assessment and mitigation planning. The university is collaborating with James Lee Witt Associates of Washington D.C., part of the Global Options Group, to develop the plan in accordance with state and federal standards. For more information on the meeting or DRU, contact the NIMSAT Institute at (337) 482-0694.